Photo booths, once a novelty, have become a staple in today’s wedding circuit. A wonderful way to engage guests and capture some one-of- a-kind images, a high-quality photo booth is an asset to any wedding or major event. That being said, not all photo booths are created equal! 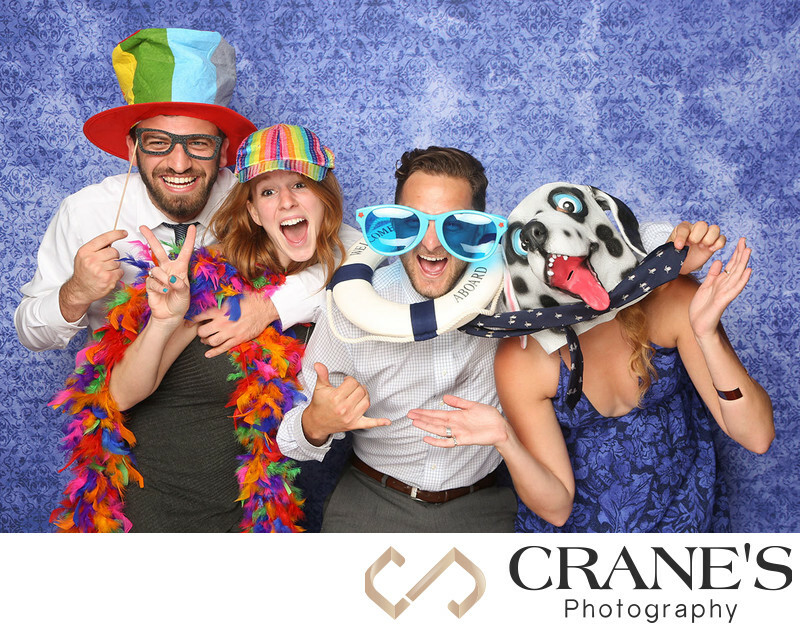 At Crane’s Photography, we believe that if you’re going to do something, you should do it right – and that philosophy extends to every aspect of our work, including our photo booths! I’ve invested endless hours, a good sum of money and a more than a little elbow grease to cultivate the best portrait photo experience Chicago has ever seen. And I’m proud to say…it paid off! First of all, this isn’t a run-of- the-mill automated booth where a bored attendant with a power complex doles out props like priceless artifacts. Far from it, our portrait booth is a one-of- a-kind interactive experience that allows your guests to take their creativity (and fun!) to a whole new level! And you’ll thank us for it – the resulting images are both sentimental and hilarious! Our booth consistently produces professional-quality photographs, blowing the competition away. But don’t take our word for it – take a look at the product’s other companies in the area have to offer. You’ll see the difference. 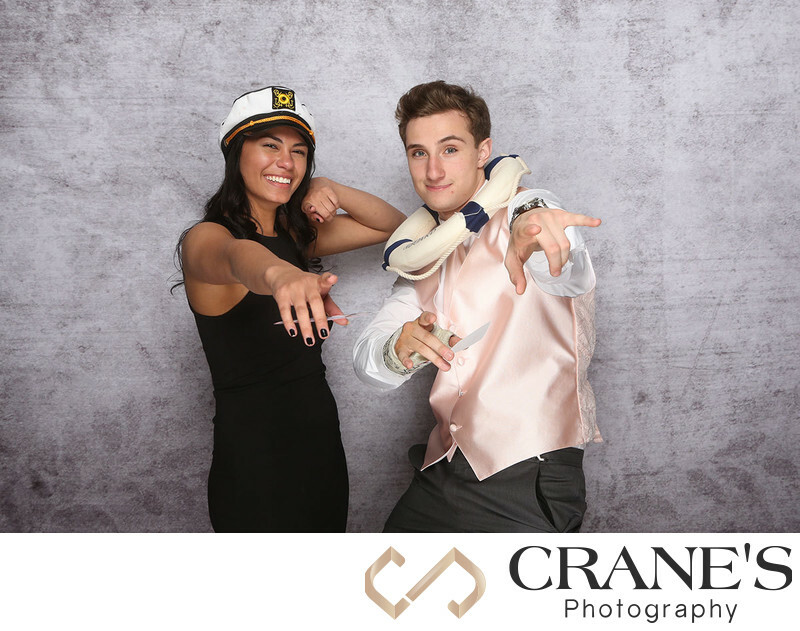 We’ve had so much success with our photo booth experience that we’ve begun offering it a la carte for virtually any event. Personalized graphics – You can choose from our selection of graphics, or incorporate your own design, corporate logo, signature, etc. Access to an online gallery, designed for easy sharing. No watermarks, either. 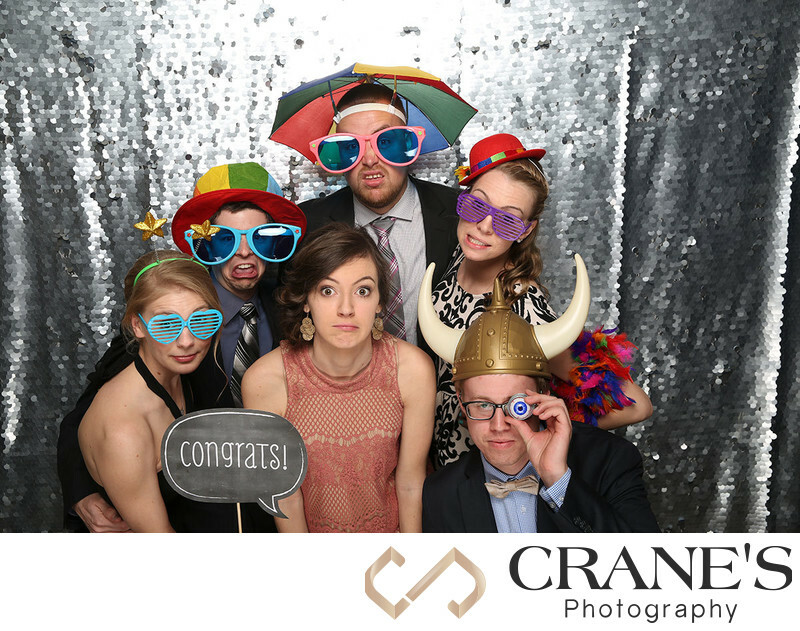 Our clients agree: Crane’s Photography is defined by our unique outlook on customer service. We treat all of our clients like they’re part of the family, which means we always bring our “A” game through professional products, superb service and, best of all, stunning images. This one, simple package equips you with everything you need to have an amazing photo booth experience that’ll impress your guests and elevate your event.